I have the car listed above 88 Royal. I am attempting to locate the fuel pump relay. Where is it? And how would I check to see if it is bad? The relay is in the relay center. I attached a picture of the location for you to view. When the key is first turned "on, " without the engine running, the ECM will turn the fuel pump relay "on" for two seconds. This builds up the fuel pressure to normal operating pressure. If the engine is not started within two seconds, the ECM will shut the fuel pump "off" and wait until ignition reference pulses are present. As soon as the engine is cranked, the ECM turns the relay "on, " which powers the fuel pump. As a back-up system to the fuel pump relay, the fuel pump can also be turned "on" by the oil pressure switch. The oil pressure switch is a normally open switch which closes when oil pressure reaches about 28.0 kPa (4.0 psi). If the fuel pump relay fails, the oil pressure switch will power the fuel pump. - A faulty fuel pump relay can result in long cranking times, particularly if the engine is cold. - An inoperative fuel pump would cause a no start condition. A fuel pump which does not provide enough pressure can result in poor performance. What happened was I was driving and the car cut off while I was moving around fifty five mph. Once I coasted to a stop I noticed when trying to re crank that the normal hum I hear from the fuel pump priming up was not there and it will not crank. I just assumed it may be the relay. I would assume more the pump than the relay. I would verify power at the fuel pump while cranking first. Also, check the 20 amp fuel pump fuse as well. How would I go about verifying power at the pump? You need to go to the connector at the fuel pump and check the gray wire as listed in the wire diagram. 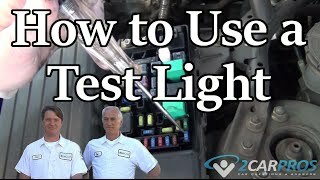 Use a test light or voltmeter to test for power while cranking? Okay, one more question. Do you know if there is a access panel to the pump or do I have to drop the tank? The pump is inside the fuel tank. In order to access the pump, the tank will have to be removed. Oh no. I dread that. Thank you very much for the help. I fill more comfortable doing it now. Thank you. Have a great rest of your day. The diagrams you sent do not seem to match my car. Under the hood facing the car. They are upside down. What am I looking at? Is there a relay center there? The picture is not clear. I cannot figure out why my pictures are upside down. But that is where I thought the relay center should be. That is the firewall area. There may be a black cover over it protecting it. Check around the center of the firewall under the windshield. That black thing you see there was a shield, but I see no relay center. Let me see if I can take a video. Look under the dash right side. 88 has it there. Did the video I sent not go through? In your original question, you listed this as an 1989 Oldsmobile 88. Then I looked at your question and you said 88 Royal? Is this an 1988 or 1989? Where Is The Fuel Pump Relay Located On This Car Please. Do I Have To Drop The Tank To Change The Fuel Pump? And How Long Does This Job Take?